Frederick Douglass once said, “It is easier to build strong children than to repair broken men.” Parents hope that as they raise their kids, they give them the tools and strength to achieve fulfillment as human beings. Solo Moms are often making that journey alone, and when their children grow up and live their dreams, it’s a particularly sweet satisfaction. Here’s a story of three boys who, raised in part by their Solo Mom, made their dreams come true. 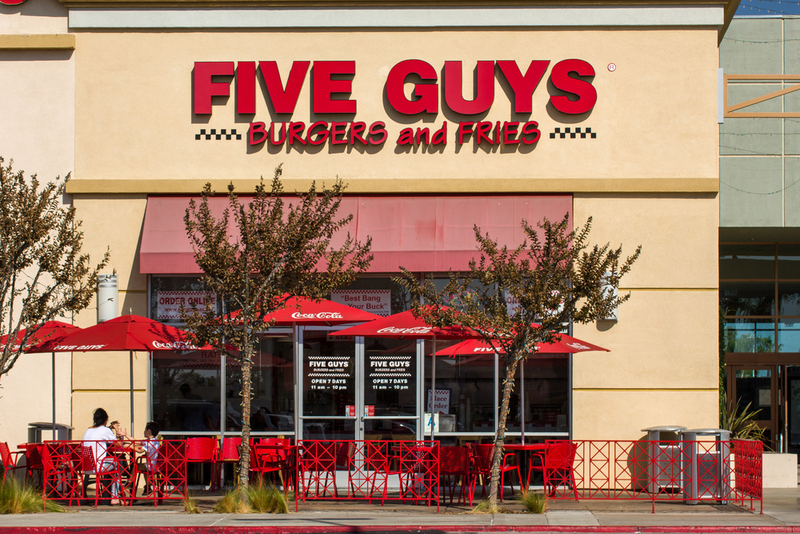 The growth of Five Guys has been nothing short of astounding. Now franchised across the United States and abroad, in locations as diverse as the Middle East and the United Kingdom, the business began in the mid-1980s in Arlington, Virginia, as a family concern. It grew from a proposition Jerry made as his older boys drew near the end of their high school careers: the kids could go to college if that was their dream, or he could use the money saved for their educations to start a restaurant, all together. “His own family wasn’t as close as he would have liked,” son Matt told Forbes in 2012. Five Guys, Jerry thought, would be a way to keep his own brood connected. Initially, patriarch Jerry kept his day job at AXA Equitable. But as the store thrived, he quit and focused, with his boys, on burgers full time. As Jerry told Forbes, “We all started dreaming then.” That dream has become a reality, even though, by all accounts, the brothers have a unique (and sometimes loud) way of hammering out disagreements. “We’d have arguments, and one brother would walk out of the restaurant in a huff,” Matt has said. “Then you’d realize, ‘Damn, I have to finish his shift.’” Jerry remembers pulling up to a store opening and, as he told Restaurant Business, “seeing two of my sons fighting outside with a broom and a mop.” But wise delegation has helped smooth out any tensions. “Each of the boys seemed to be interested in a different aspect of the business, so that’s where they tended to gravitate—one to operations, one to public relations,” etc., Jerry has said. Creative architecture helps, too: according to a 2016 Mental Floss piece, the Five Guys office has a soundproof meeting room to contain any rowdy family discussions. Family members observe a policy of unanimous voting when it comes to business decisions, so whether it’s the move to franchising, which the family embraced in the early 2000s, or adding milkshakes to the menu, which happened in 2014, it’s always a unified call. And bottom line, the boys have one another’s backs. “Family is a great thing to have in a business,” Jim told the Lorton Patch in 2013. “You grew up together and know each other’s pluses and negatives, and you use that to benefit the business.” If the discussions are loud, they are clearly fruitful: 30+ years after first opening as a family concern, Five Guys maintains almost 1,500 locations worldwide. In short, Jim, Matt, and Chad, along with their half-brothers, have made their mark by dreaming big. One imagines that their accomplishments, and the strong bonds they share, have over the years been informed by love and support from their Solo Mom.